If you have a dry, gritty, or scratchy feeling in your eyes, you may suffer from dry eye syndrome. Dry eye syndrome may also result in feeling like there is a film over one or both eyes. You may also feel burning or itching in your eyes, or blurry vision. But what causes dry eyes? Dry eyes are the result of a loss of tears coating the eye. This doesn’t refer to the tears when you cry — the eye always has a layer of tears covering it. On the surface of your eyeball is a very thin layer of mucous, which helps spread the tears evenly across the eye. On top of that is a thin layer of tears and some proteins. The tear layer is covered by an oily layer to keep the tears on the eye and prevent evaporation. 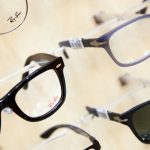 What Causes Dry Eyes Syndrome Symptoms? Dry eye syndrome can result from one or more causes. Obviously, one cause is decreased tear production. Another possible cause is excessive tear evaporation, where the tears evaporate too quickly to be effective. This can happen if any of the layers coating your eye are not being produced normally, allowing the tears to either be absorbed into the eye or to evaporate and run off the eye. 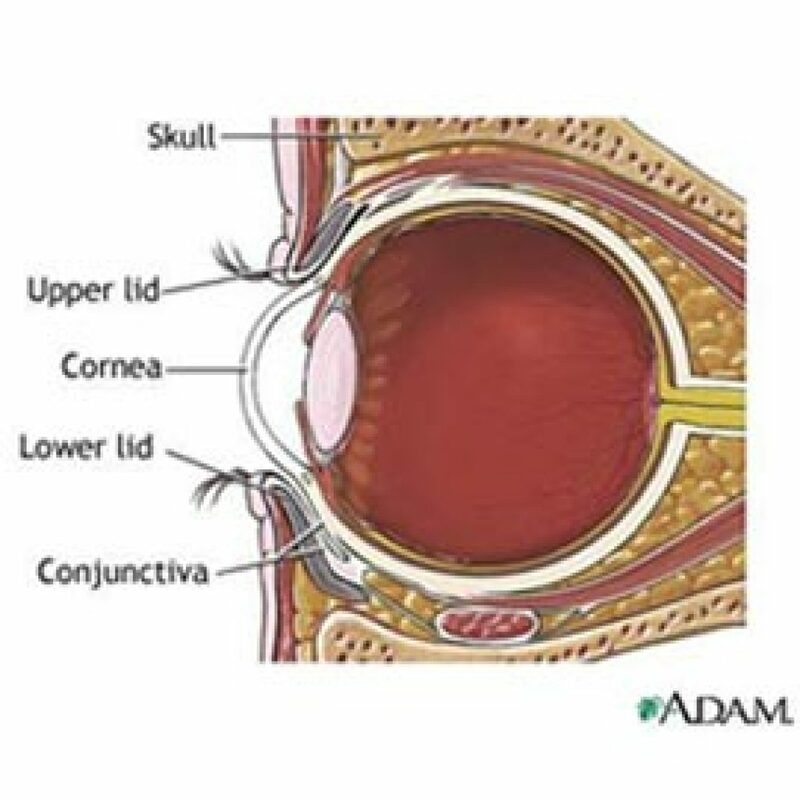 This image of your eye is a helpful tool for understanding what causes dry eyes. Dr. Leonard uses it to help patients understand the structure of their eyes. Each of these symptoms have similar causes. The first possibility is simply age. As we get older, the glands that produce these substances can develop problems producing their layer. Hormonal changes can also affect the production of tears or the oily layer that keeps them against the eye. Certain autoimmune diseases, such as lupus or eczema, can affect tear production. Certain medications have also been found to reduce tear production or the layers coating the eye. Antihistamines, antidepressants, beta-blockers, and oral contraceptives can all affect tear production. Various infections of the eye, the tear and mucous glands, or even the eyelashes can also reduce tear production and retention. Finally, any activity which can reduce the blinking reflex can also lead to dry eyes. Watching TV or staring intently at a computer monitor can cause some people to blink less often, allowing tears to evaporate. If you have dry eyes, or your eyes routinely bother you, you should seek medical attention from a dry eye specialist like Dr. Barry Leonard. It’s important to identify what causes dry eyes syndrome in your eyes. Dry eyes can indicate certain medical conditions that may require treatment. In addition, untreated dry eyes can lead to additional eye problems and infection. Dr. Leonard can also help you deal with dry eyes as an ongoing problem. If you’ve got dry eyes, make an appointment now to see Dr. Leonard to treat your condition. Just call 818-891-6711. You deserve comfort — and good vision. You can also use the online reservation link at the top of this or any page. Use it and make your appointment now.